"being made into a perfect asylum for ex-rebel professors." Le Conte (left) hadheld the Chair of Chemistry and Geology at South Carolina College in Columbia, SC (Armes 1903), but during the Civil War, Columbia was burned by General T. Sherman. 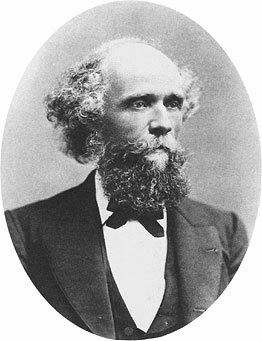 Le Conte and his brother John lost everything, including confidence in the support for the College, so both applied to the newly forming University of California. 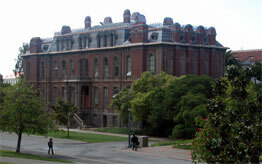 For the first four years, both of the Le Contes taught in Oakland, then at the university’s South Hall beginning in 1873 (below).